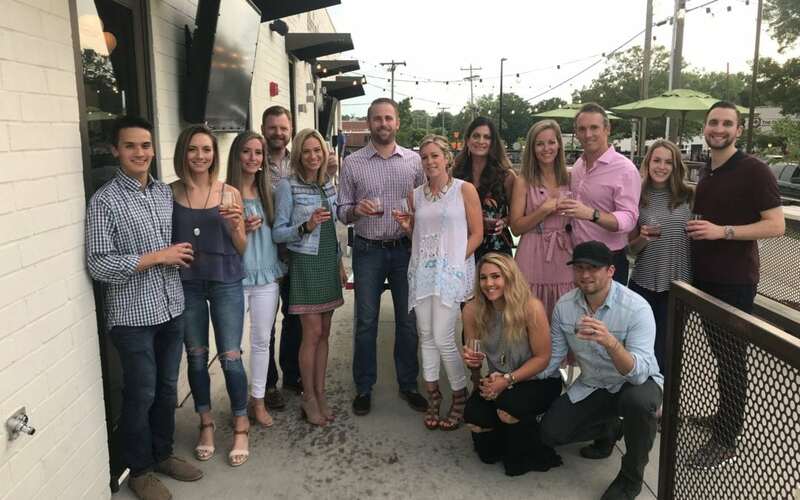 CHARLOTTE, N.C. — Co-founders Matt Donato & Jack Hall, Charlotte’s go-to-guys for finding top talent, are celebrating HuntSource’s successful first year of business. From the small business community to Fortune 500 companies, HuntSource brings their expertise to various sectors, including: financial services, energy and utilities, healthcare, government, and technology & business services. In addition to placing talent, HuntSource has helped create a new cyber culture in Charlotte, drawing the attention of even the most reclusive programmers. With their partner Rocus Networks, they co-host the CyberConnect series, a bi-monthly event where industry experts discuss trending topics over horderves and craft beer. With people always at the forefront, HuntSource knows the importance of helping our veterans succeed after service. They have partnered with Veterans Bridge Home to help transition veterans back into the workforce. Charlotte’s new staffing tech start-up isn’t limiting its services to the Queen City. HuntSource is placing candidates in many different markets including Raleigh, Atlanta, & Washington DC to name a few. Located in Charlotte, NC, HuntSource is a workforce solutions firm dedicated to the technology domain. Specialty areas include Cyber & Information Security, Governance Risk & Compliance, & Data Intelligence. Services include staffing, executive search and project solutions. HuntSource is industry agnostic, customer-centric, and results-driven.